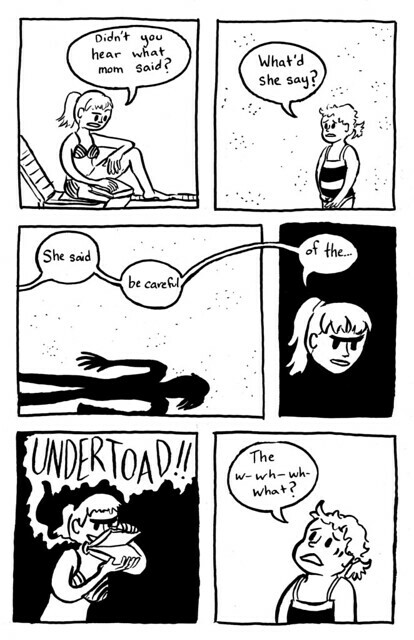 Hooray for Comics: No fear! Greetings from Bloomington, IN!! I'm currently reporting on location at Casa de Swardlick/Gal. I'm visiting some friends who are close enough to visit via a 5 hour bus ride! Sunday I spent reviewing portfolios for the second largest National Portfolio day, Monday I taught all day, and then hopped a bus to Indiana. Tonight I'm giving more portfolio reviews with Mr. Kyle O'Connell in Indianapolis, resting up on Thursday with another 5 hour bus ride, and back to teaching on Friday! Busy, busy, busy! And coming up the first weekend in November (5th and 6th) is MIX! And I'll be there tabling with Andy Christensen and near some other buddies as well! Lena Chandhok, Max Mose, Paul Swartz, Lale Westvind, and Ian McDuffie to name a few! And I have pages in the new Anthology Lies Grown-Ups Told Me. Here's the beginning of my story! 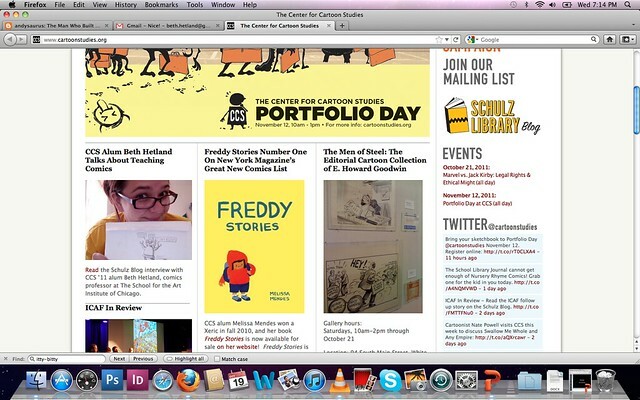 In other news, check out who's face is on the main page of The Center for Cartoon Studies home page!! See you next week followers, from my own home in Chicago! This is Beth Hetland, signing off. Boy, that sister character was mean! 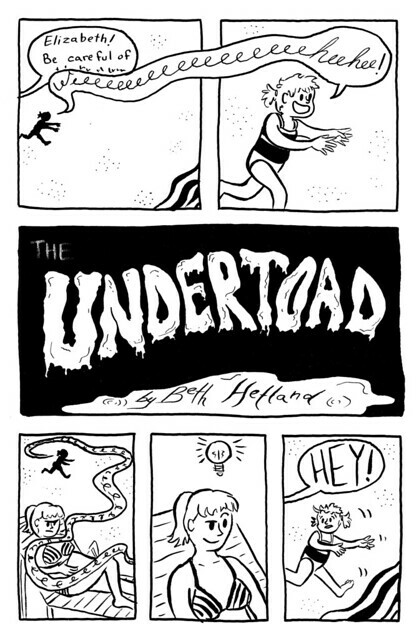 Loving this, and still afraid of the Undertoad.